Genoa Importing has been Loudonville’s go-to stop for hearty, home-cooked meals. When you step inside our newly renovated deli, you’ll always be met with a friendly smile and some old fashioned Italian food. From handmade pizzas and sausage to fresh salads and subs, everything in our kitchen is made from scratch. It’s the way we’ve always done things, and we don’t plan on changing anytime soon. Since we know no one wants to cook after a long day, our premade Grab and Go Dinners are taking all the hard work out of a delicious meal. So come on down and join us or let us bring it right to your office -- we’ll always make you feel right at home. Genoa is a proud partner of Mealeo and offers delivery when you place your order online. At Genoa, we prepare everything from scratch; our turkey, roast beef and specialty meats are cooked in house daily. 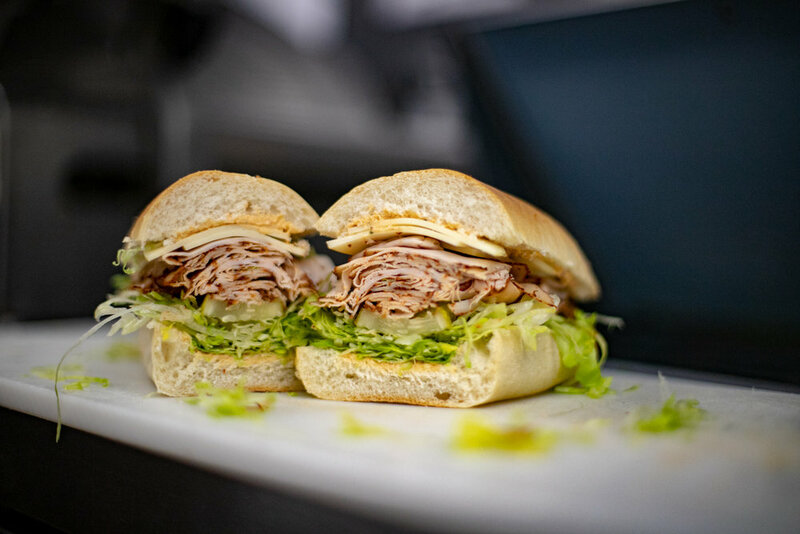 They are what make our specialty hot subs, hand crafted cold sandwiches and freshly made salads so delicious. If you’re looking for some help with dinner, bring some Genoa-made sausage, meatballs, or pizza dough home. If you’re short on time choose one of our already prepared entrees, stuffed foccacia breads, or nyc-street style pizza instead. We have a wide selection of soups, sauces and salad dressings to accompany any meal. Of course, don’t forget dessert! Our desserts are baked fresh daily and the perfect end to your meal. We even offer catering options for your corporate lunches or any special event! Call us today or contact us online and we’ll be in touch to discuss your event and the menu you’d like to offer. Your guests are sure to leave full and happy. Thank you for your message! If you’ve requested a reply we will get back to you as soon as possible.